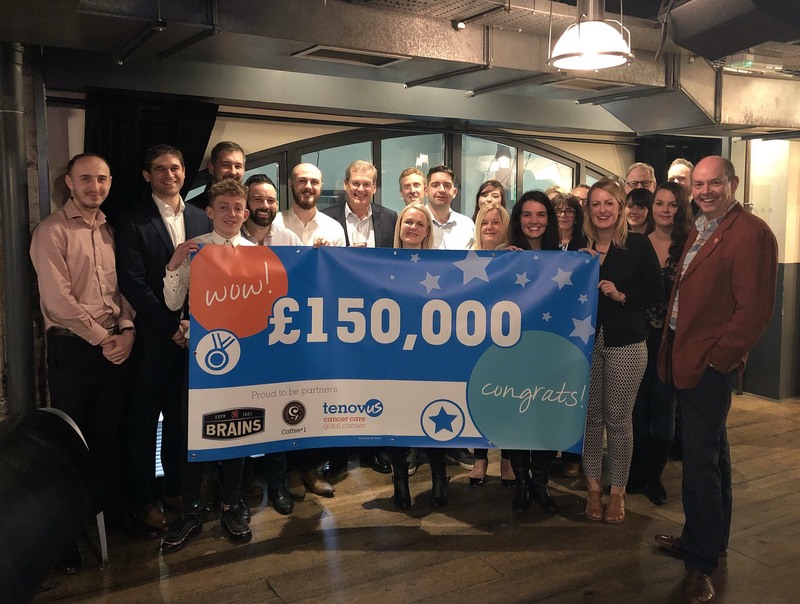 Tenovus Cancer Care is celebrating its most successful ever corporate partnership after Brains Brewery and Coffee#1 staff raised more than £150,000 to help support cancer patients. Staff took the company’s fundraising efforts beyond the landmark £150,000 total by tackling the fastest zip line in the world, at the Zip World centre in North Wales. It was the latest in a host of fundraising challenges and events by Brains and Coffee#1 staff, which have included treks to the summit of Kilimanjaro, skydives, abseils, bungee jumps, the Welsh Three Peaks Challenge and two staff cycle rides from Swansea to Cardiff. Coffee#1 also collected more than £15,000 through its annual Gingerbread Man appeal. The three-year partnership, which began in February 2015, comes to an end later this year and Tenovus cancer Carer is delighted with the outcome of the scheme. Tenovus Cancer Care Corporate Relationship Manager Carys Jenkins said: “We are incredibly grateful to Brains and Coffee#1 staff and customers for their superb fundraising efforts over the last three years. “From the Chairman John Rhys, who ran the Cardiff 10K, to everyone in the pubs and coffee shops, they have engaged with the partnership at every level and the response has been even more generous than we ever imagined. The amazing hard work of Brains and Coffee#1 staff was recently recognised at the prestigious Beer & Pub Association Awards, where they scooped the Heart of the Community award. Brains Chairman John Rhys said: “We are so very proud of the incredible efforts of all our staff and customers who have worked so hard over multiple fundraisers and challenges to reach our target of £150,000 and it was fantastic to see that effort acknowledged at the recent Pub Awards.